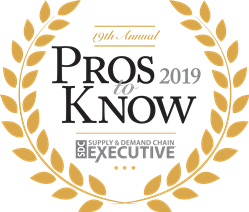 Supply & Demand Chain Executive, the executive's user manual for successful supply and demand chain transformation, is pleased to announce the 18th annual listing of the 2019 Pros to Know in the supply chain industry. C3 Reservations, C3’s Online Dock Scheduling System, streamlines the scheduling process by improving dock productivity, expanding visibility on scheduled appointments and measuring vendor compliance. C3 Yard, C3’s Web-based Yard Management Solution empowers yard managers by providing visibility on yard assets, optimizing the flow of trailers from gate to gate and automating yard driver task assignment. C3 Solutions is an information technology company specialized in yard management (YMS) and dock scheduling systems. Since its founding in 2000, C3 has gained the confidence of clients around the world and across many industries including retail, grocery, distribution, manufacturing and parcel post.